As you know, Google AdWords went not provided, although there are ways to get the data and for the data to not be as secure as you want. That being said, I decided to confirm and test this by setting up a test. 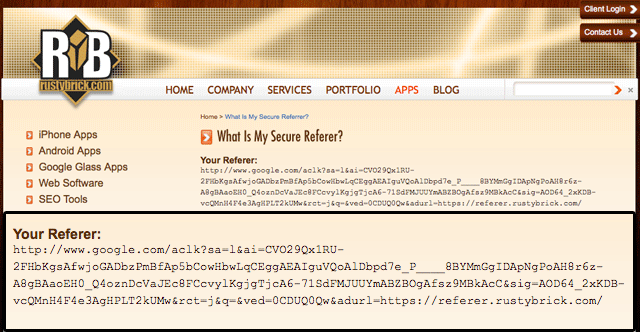 I created an add that lead to my secure referer test page, where I can truly test if query data is being passed from HTTPS to HTTPS via referer. Then when I clicked through, it technically should show the query data in the referer string but it did not, because that is how Google handles not provided, they strip it out, even from SSL to SSL (which is not the standard). As you can see, there is no sign of the query in that string. Again, most advertisers didn't use the referer data for getting to this data. 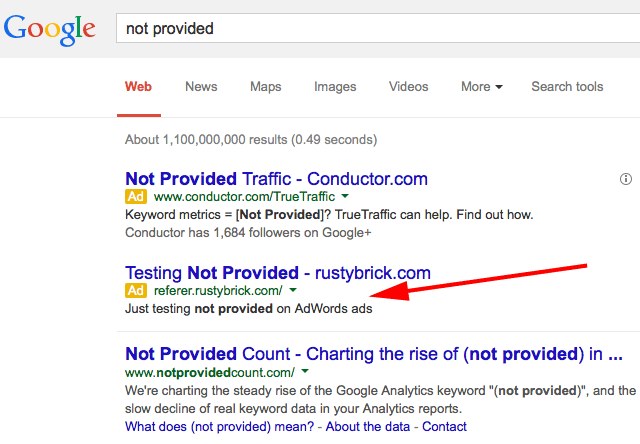 They used the search keyword reports in AdWords or the API or tools that use the API. But it is nice to confirm it is really gone from the referer data. Note: I am offline today and this post was pre-scheduled to be automatically posted. So if I am delayed in responding to issues or comments, I apologize in advance.